Intriguing, fashionable with a unique sense of style, a blogger, an actress, an artist and spreads cheerfulness all around her. These are words I use to describe a striking 12 year old girl I met at the Rose Bowl Flea Market earlier this year. She’s not your average 12 year old friends. Meet Kylie Marco from sunnysideky.blogspot.com. 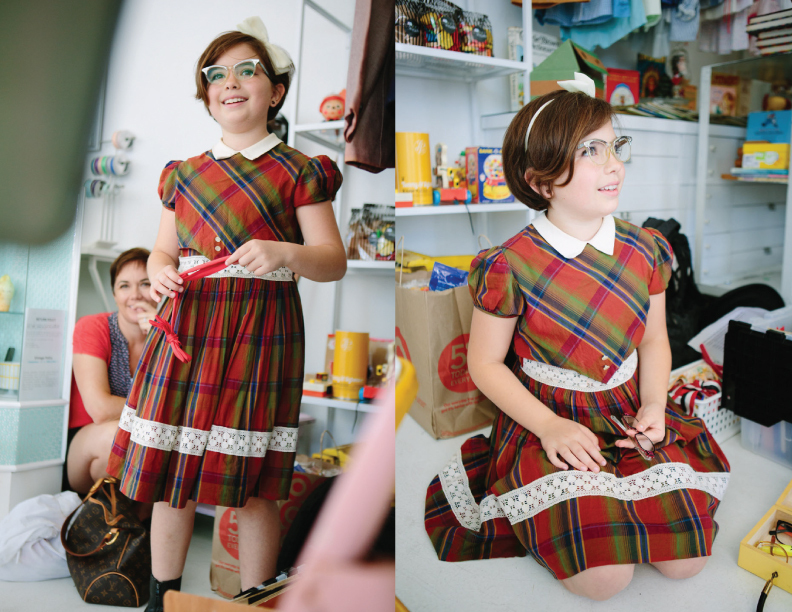 Kylie first stepped into our booth at the Rose Bowl Flea Market earlier in February. 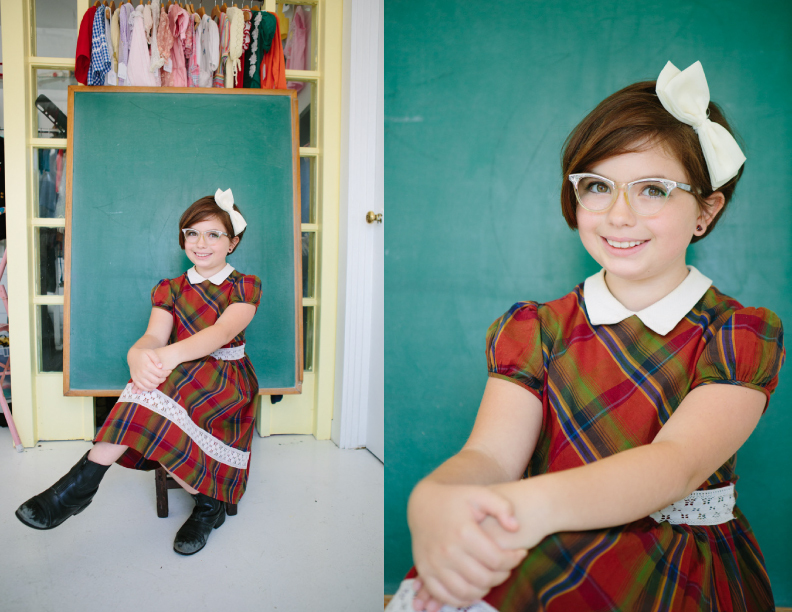 She had the cutest vintage schoolgirl inspired ensemble, wearing adorable vintage round eyeglasses that were probably too big for her frame but seemed to work nicely and finished off her outfit with a big statement bow atop her head! I was intrigued and almost intimidated to approach her. When I finally got a chance to say hello she politely introduced herself and handed me her business card. Oh boy, was I pleasantly surprised by one, her sense of style and second, her professionalism from such a young gal. Then came the cherry on top. Kylie turns out to be a blogger! She’s just simply amazing. I’d continue to run into her at the local flea markets and she’ll even occasionally sell at her very own booth. She’ a mighty fine seller at that! 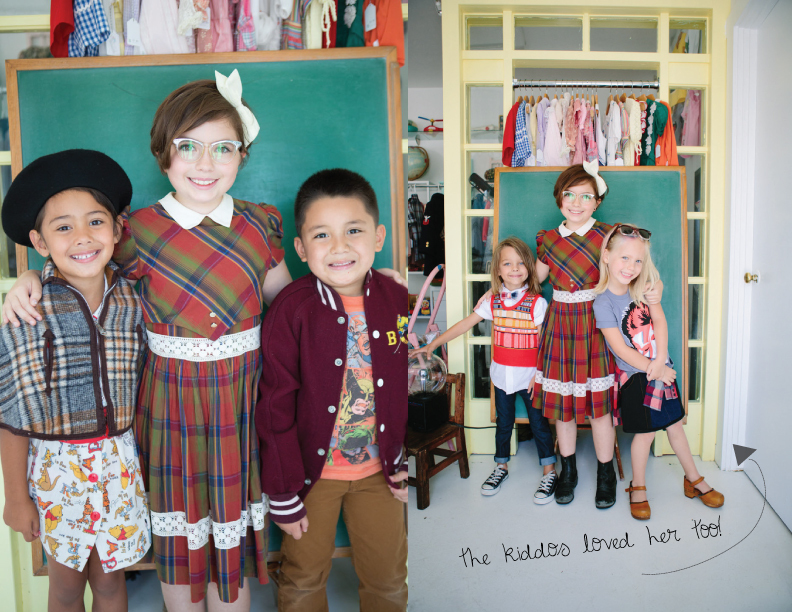 Sweet Threads had their upcoming Fall13 Look Book shoot to plan for and being that we like to promote and encourage children’s arts and creativity, we thought this was the perfect opportunity to invite Kylie to join the team as our mini stylist. Boy were we lucky to have her come on board! Even with her busy Summer schedule with taking acting classes, cello and japanese lessons and keeping up with her blog, she was still able to squeeze some time to help Sweet Threads. 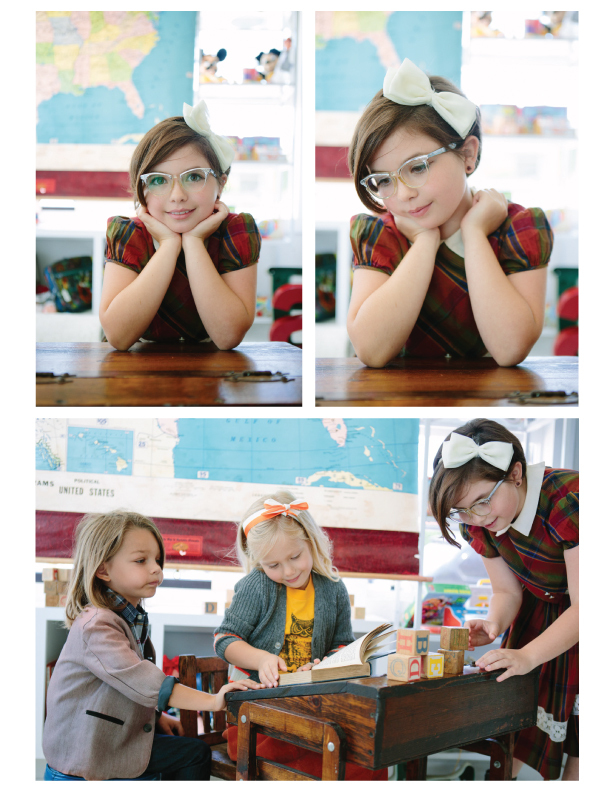 See her in action below in photos taken by Katie Ging! 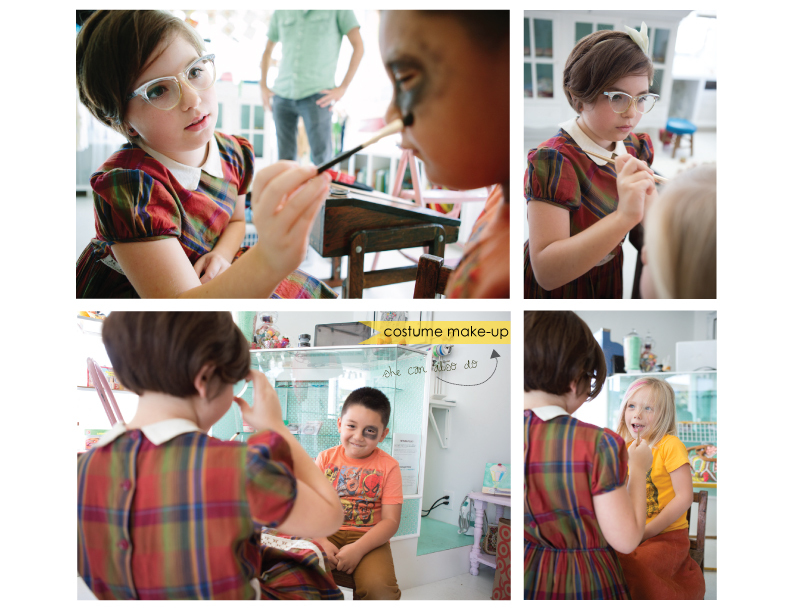 We had a chance to sit with Kylie and get to know her a little better. Check out what she has to say. How did you come up with the blog title Sunny Side Ky? Dead or alive, who would you want to meet? Where do you see yourself in 10-20 years? Tell us your favorite quote and where you found it. Kylie is not your normal 7th grader. She wants to make statements and show others that you can express yourself any way you want. Amazing, right? Such an inspiration! I have a big hunch this girl is going to do or be someone big. Just you wait and see. This is fantastic thank you Sweet Threads and Katie Ging!